The first thing you'll need to do is to evaluate what kind of intellectual creation you have that needs to be protected. If you have something that is expressive and non-functional, such as written work or a collection of videos, then securing copyrights is in order. If you have an identifying name, mark, brand or color scheme, then treating and registering that as a trademark can be in order. If you have something that has been kept confidential and has value, then you might consider what you need to do to keep it as a trade secret. Finally, you might have something that has some new functionality (works in a new way) which might be worthy of a patent application. Now if you have something that doesn't fit into one of those buckets, then a discussion with a competent attorney who specializes in intellectual property would be a first smart move. To obtain copyrights, you ordinarily just put into a physical form what is in your head, that is to create a "work of authorship" "fixed in a tangible medium" such as paper, a hard drive, etc. When enforcing a copyright, it is sometimes helpful to register that copyright and/or save evidence as to the author and the date of creation. Most people who have a need to do this are made aware from the acquiror of their work, e.g. by a publisher or distributor, who wishes to have all of the copyrights secured before publication or use. Thus an author will often find the need of legal services when negotiating a contract with such an acquiror. Rights in a trademark are generally obtained through use of that trademark. Some limited rights can be obtained without use through federal registration, and registration makes some aspects of enforcement easier. State registrations are also possible, but most of the time federal registrations are preferred. Legal services for trademarks are ordinarily in registration and in making searches to determine the distinctness of other marks already in use, to avoid infringing a previously-existing trademark. The need for a patent ordinarily arises where a functional design or improvement is achieved from that which existed before. Patents are not awarded for all inventions; a patentable invention must be new and non-obvious from the perspective of a fictional person in the public who is trained to the standard of what is "ordinary in the skill of the art for which it pertains". 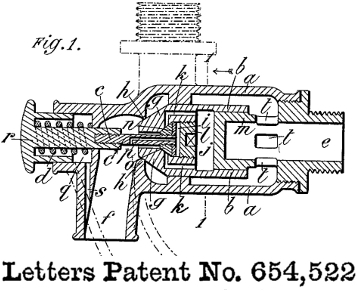 If an invention is already out there "in the prior art", it is not patentable. If an invention is obvious to this fictional person, then theoretically it is not patentable (although sometimes obvious inventions can get by a patent examiner due to the difficulties of making a rejection for obviousness.) Although there are a few other minor requirements, the last important requirement is that an invention be "ready for patenting", which means that the inventors can describe how to make and use the invention such that it can be used by the public, i.e. it is more than a mere "idea". Where patent rights are desired, a patent application must be filed in a timely way. If the public becomes aware of the invention prior to the "priority date" of a patent application, this can jeopardize the inventor's rights to a patent. In the U.S. and in some cases, there is a one-year "grace period" that permits a patent application to be filed up to one year after disclosure of the invention to the public. (Here "disclosure" includes not only publishing the details of the invention, but also a use of the invention by customers or competitors and even something as small as offering a product that includes the invention for sale.) Even so, it is not usually wise to rely on this grace period -- a patent application should usually be filed as soon as an invention can be described and definitely before it is disclosed to the public or offered for sale. Where a inventor or company cannot afford the expense of patent examination, there are ways of deferring those costs including the filing of a "provisional" patent application. If you think you might have a patentable invention, the first step is to consult with a patent attorney who is registered with the U.S. Patent and Trademark Office. If you already have intellectual property that you might wish to transfer or license, there are lawyers who specialize in those sorts of activities. Where it is believed that the activities or products of a company might be infringing upon another's copyright, trademark or patent, the first step is to consult with a competent lawyer, preferably an attorney who has experience in litigation in the area of concern. Rights to all forms of intellectual property can be lost if certain actions are not timely taken. The sole advice that I give here is that if you believe you have some form of intellectual property that might be valuable, you should immediately consult with a lawyer who is properly trained for the particular property you have. Such a lawyer can advise you regarding international rights, or can refer you to someone who can give proper advice. Don't wait!